Last year, Alice + Olivia was seen around town on the likes of Lindsay Lohan, Sarah Jessica Parker, Gabrielle Union and other celebutantes, and this season the label is sticking around strong. 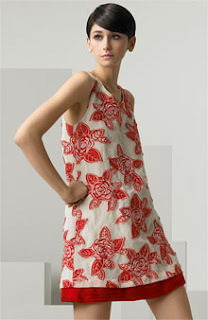 Shopbop.com has the largest, freshest, newest selection of Alice + Olivia that I have seen online and offers some timeless choices, too! I bring Alice + Olivia into the blog today because, Dawn Richards of (Bad Boy's) Danity Kane whose fashion sense I deem the most admirable (from my fashion perspective), wore an Alice + Oliva frock to their album release party at the Bank NightClub inside the Bellagio on March 28th. 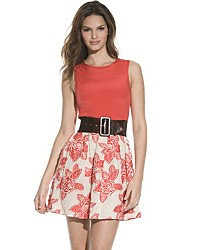 I began to research the dress and found out, that the same print was well used throughout the collection and Bloomingdales, Shopbop.com and Nordstrom offers different versions of the dress. So feel free, take your pick of which style that you would like in your closet. You will feel like a STAR when you wear it, I promise, even if you do live in a small town :-) . Price points $370-$396. Would you like something similar for a cheaper price? 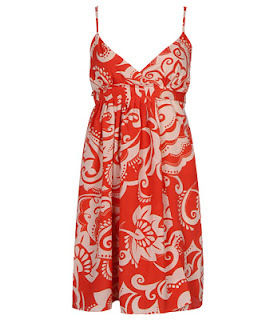 Go with this paisley print Forever21 dress for $22.80. 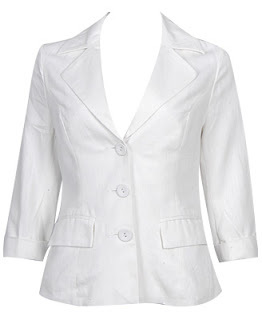 Add this Forever21 linen blazer (with any of the dresses) if you want to conceal the spaghetti straps of the dress and leave something to the imagination. Price $29.80.